CamAlarms designs, supplies, installs and maintains Access Control Systems for the education, healthcare, leisure and commercial sectors. CamAlarms’s Access Control solutions range from single building access systems to centrally-controlled solutions for multi-site organisations. 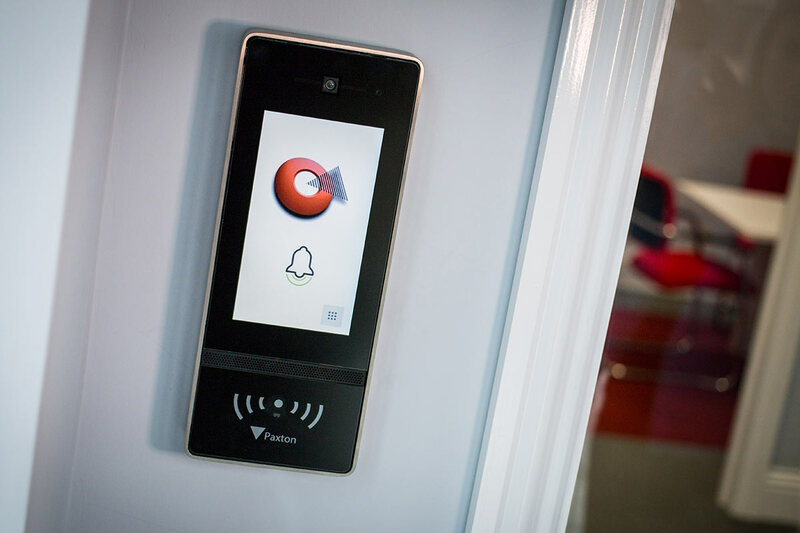 Our solutions incorporate the most advanced and most trusted products available, including Paxton, Salto, HID and more… Access may be by intercom, keypad, fob, or swipe card. CamAlarms’s Access Control solutions can be configured to permit different individuals access to different areas or sites. Access Control can be integrated with CCTV and fire alarm systems to provide a complete solution that also tracks entrance and exit, clocks staff in and out, and produces evacuation registers. Our installation team has over 25 years’ experience of installing Access Control solutions in a wide range of premises, with minimal disruption.